The gorgeous coastline of Antalya is a uniformed collection of small holiday resorts and the main city centre that altogether make up Turkey’s second most visited holiday destination after Istanbul. Originally founded by the king of Pergamum in 159 BC and famously called Pamphylia in ancient history, Antalya is a favourite of many nationalities of holidaymakers. Also, expats who take advantage of the state of the art and impressive airport for frequent, direct flights back to the home countries, have made it their second home. I’ve been to Antalya twice. In the winter of 2004 and I returned in 2012 to start my month’s tour of the south-west coast. As the starting point for the Lycian trekking route and a major hub of the Turkish Riviera, I plan to return one day, because I still have a lot to see. So for this article, my friend Bayram, who sells property in Antalya is giving me the low-down on local information for all the Antalya resorts. However, before we talk about the best places to visit in Antalya, it is worth mentioning that if you love road trips, Antalya is perfect because the D400 coastal road runs alongside all the major holiday resorts and towns. 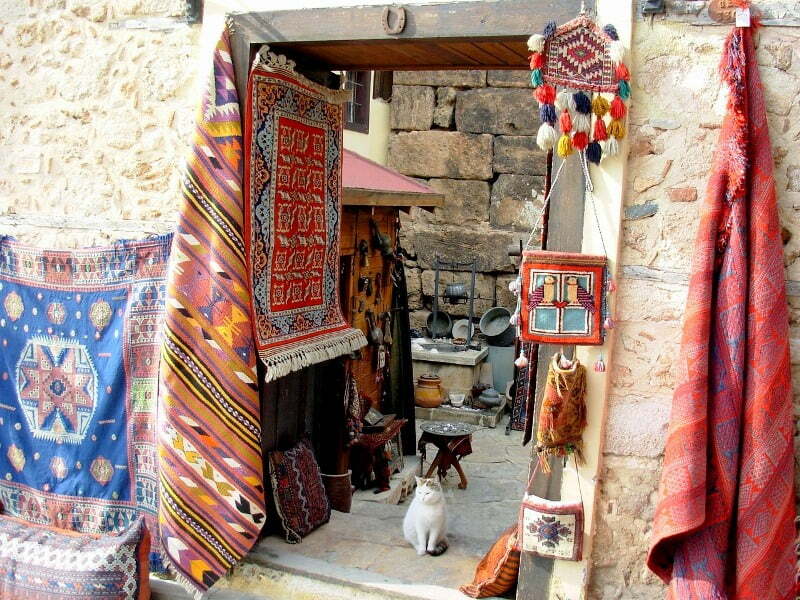 Staying 1 or 2 nights in each place, Antalya has the potential to become an authentic travel experience. The touristic destination of Alanya is the furthest resort from Antalya airport with a transfer time of approximately 2 hours 30 minutes. The 13th-century, 115-metre red tower dominates the coastline, scattered with sandy beaches, although a favourite tourist attraction is Damlatas Cave, with its impressive collections of stalactites. 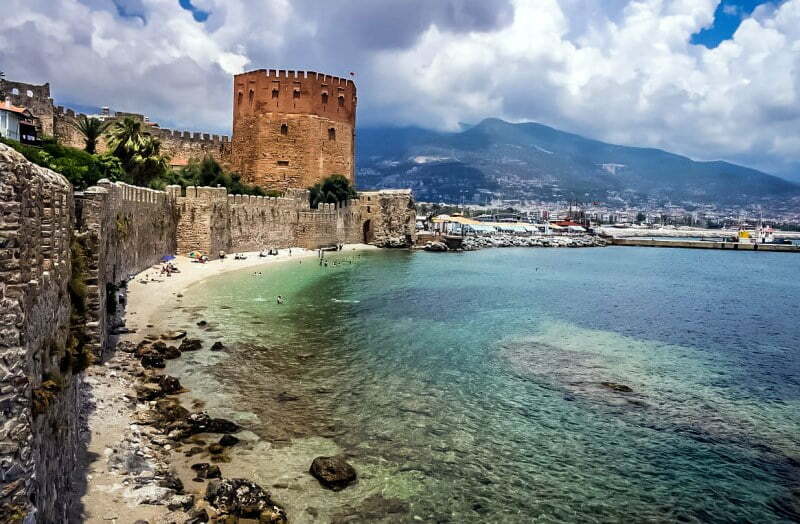 Cleopatra’s beach in Alanya is said to be where Cleopatra and Marc Anthony spent time together. Moving further west along the coastline, Side, a smaller and more traditional resort was favoured in history by pirates as a popular hangout venue. Most notably known for its partially reconstructed landmark of the Temple of Apollo, its quirky feature is because the large ancient Hellenistic theatre and agora are in the middle of everything new and modern. The neighbouring district of Manavgat is a favourite daytime trip from Side because of its scenic waterfall. Belek, a collection of five-star hotels, luxurious Antalya Villas, and all-encompassing golf courses is now a premier destination of Antalya and known as the golfing capital of Turkey. Having hosted major players like Tiger Woods, golf is serious business here and in fact, unless you plan to relax on the beach or in the spa centres of the hotels, there isn’t much else to do. 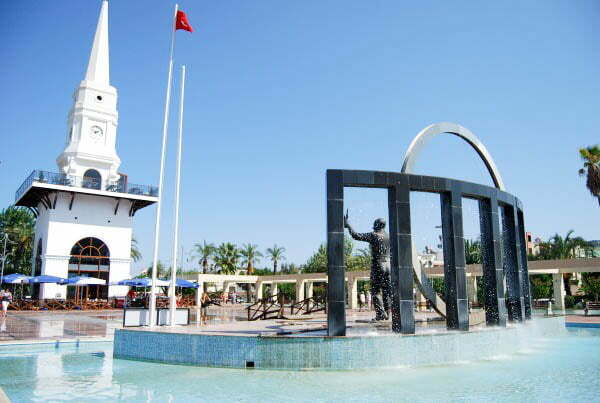 Coming up to the prize gem of the coastline, the new and modern Antalya city centre, also has an old town part (Kaleici), famously marked by the ancient three-arched Hadrian’s Gate. Within it, locals and holidaymakers favour the old harbour front, a popular eating, and watering hole. 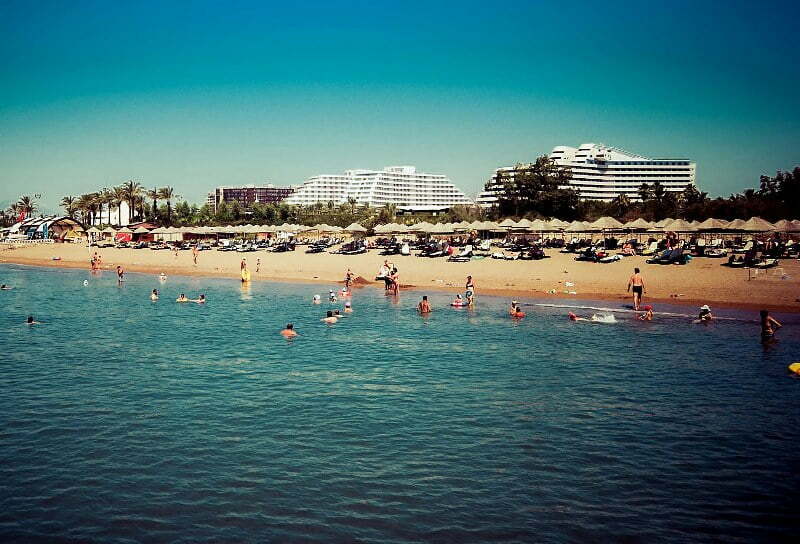 From here, beach lovers can easily get to the region’s most famous beach of Konyaaalti, the Archaeological Museum, Mini City and the newly opened Antalya Aquarium. Heading into the district surrounding the Olympos Milli Park, I didn’t like the man-made resort of Kemer, yet it makes a roaring trade with it’s all inclusive hotels and long, pebbly beach. The town was immaculate and clean, but it lacks attractions and things to do so my four-day visit was three days too long for me! Instead, I headed further up the coastline to Cirali, a relatively unknown resort but quaint and delightful at the same time. Sharing a beach with the rustic resort of Olympos, I enjoyed visiting the ruins in the nearby forest and the burning flames of Chimaera. My hotel also organised a day trip to the ruins and beaches of Phaselis. If you want to get off the beaten track but still have a wide choice of things to do, Cirali, and the Canada Hotel is an excellent option. Demre, is home to the ruins of Myra and more importantly, the church of Saint Nicholas aka Santa Claus. However I wouldn’t stay there overnight. 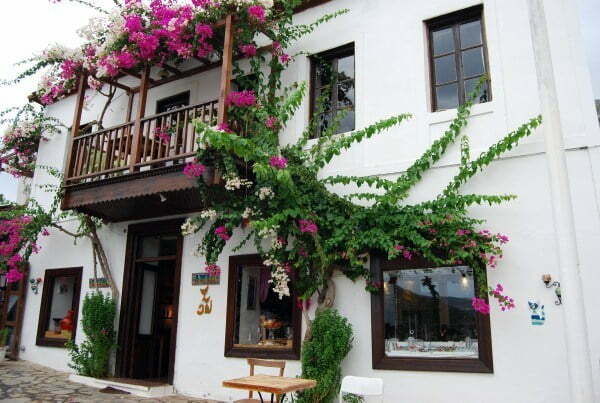 Instead, the small and quaint village of Kas is a much better alternative for hotel accommodation. Sitting on the edge of the Antalya peninsula, it’s retained much of its traditional charm while moving with the times to provide holidaymakers with modern amenities. The neighbouring resort of Kalkan is not my favourite place, but it is the best upmarket destination on the Mediterranean with a loyal clientele. 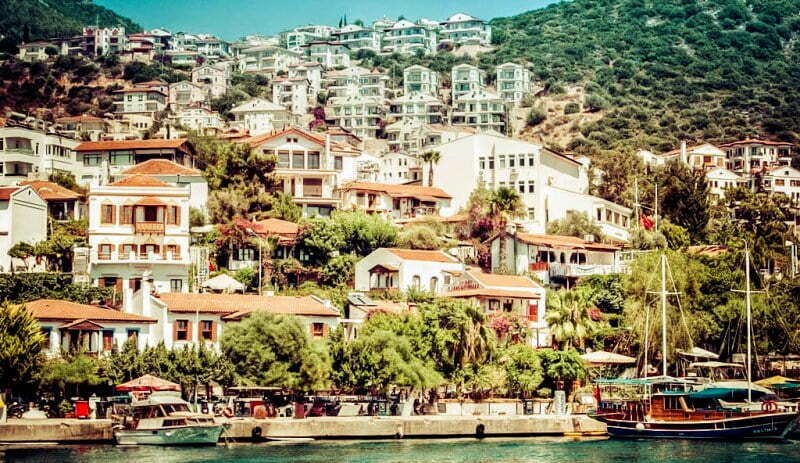 Much of the charm of Kalkan stems because it is built on a hill. Therefore, excellent sea views are available from most villas and hotels with rooftop terraces. 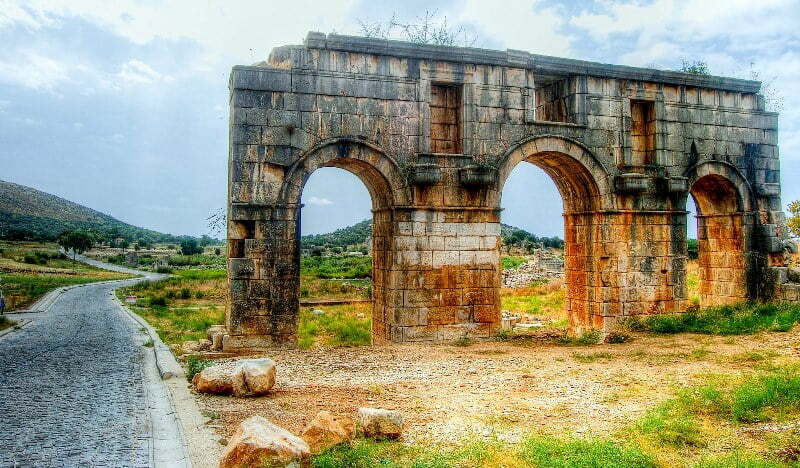 Finally, we reach the last place before the peninsula ventures into the Fethiye area, and this is Patara. 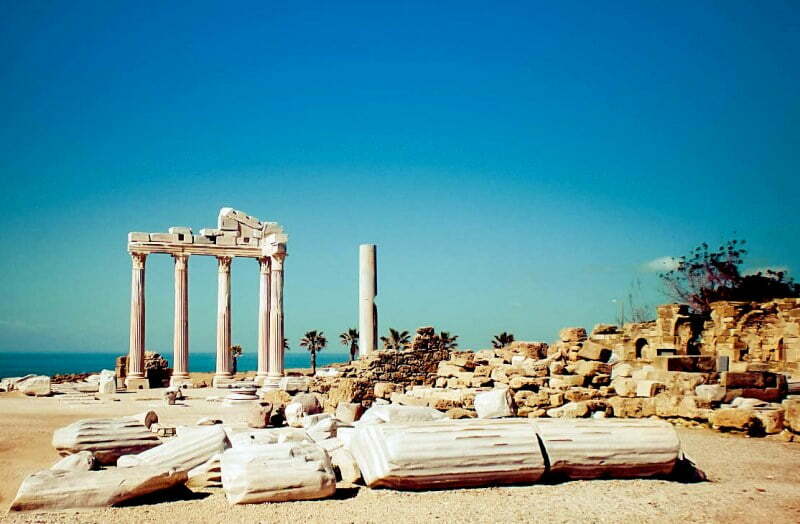 Home to Turkey’s largest beach, an impressive collection of ruins and a traditional. 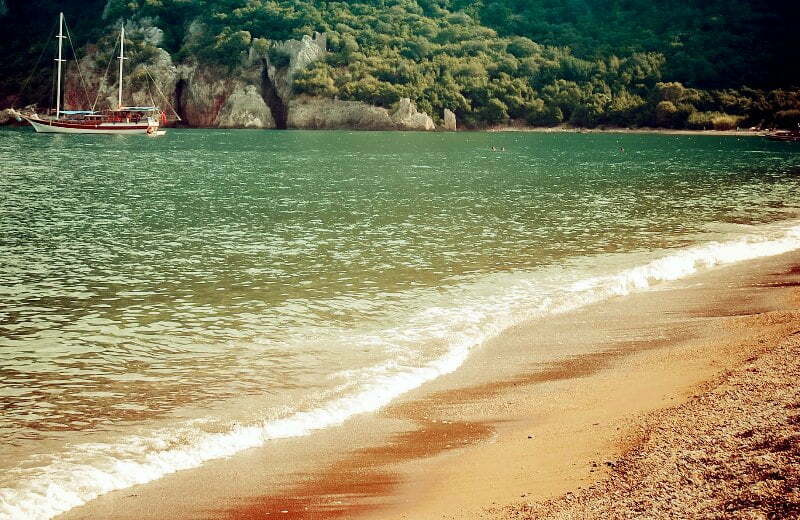 rustic village, this destination is the perfect beach holiday. Thank you for the ideas Nathalie! Didn’t like Kemer either. It looked like a touristic town with a main squae and some shops where you get ripped off. I prefered Alanya itself with the lovely old town Kaleici! Kemer has got some good hotels though but Turkey has more interesting beach resorts.